Hey, there Sport… whether you’re a serious or weekend sports junkie, your body is going to suffer from aches and pains. Your muscles will spasm. Sometimes you’ll be too fatigued just to get up and get going. Other times you’ll be benched with the inability to perform at all. Heavy training can deplete the immune system. Pushing yourself can put you out of action. But you can give yourself a fighting chance. There is good evidence that intravenous vitamins can enhance the healing process. Professional athletes know that hydration is the key to achieving peak performance. Muscle cramping, caused by dehydration is one of the most common reasons for not finishing. According to current research, IV therapy can give you a 19% increase in power when working out, making it easier to gain muscle, improve your aerobic capacity and cardiac output, helping enhance almost every part of your physical functioning. Air is thinner at high altitudes. Your body can’t get as much oxygen as it needs. So you need to breathe faster. This causes what can be throbbing headaches and other symptoms of what is often referred to as altitude sickness. Like feeling sick to your stomach to the point of wanting to vomit. Having no energy or feeling dizzy. It’s hard to enjoy mountain beauty when you feel a mountainful of problems. This is another issue IV therapy can help diminish or even avoid. JUST HOW HUNG ARE YOU HUNG OVER? You had a wild night and stopped counting after the 3rd round or 5th shot of tequila. And, opps, did you remember to eat anything? Now you’re suffering. A pre-work bottle of Gatorade and a greasy egg and cheese sandwich aren’t going to work. And pop up hangover-helper IV hangouts aren’t the holy grail, either. Just trying to find relief is a headache in itself. We feel your pain. The major contributing factor to the aches and nausea associated with hangovers is dehydration and certain vitamin deficiencies. IV therapy can get you going and feeling human again, restoring what that vodka sucked out of you. Let IV therapy be you first call after “last call”. IV for type A’s is just another way IV therapy can be beneficial. Stress is a way of life, more so for some than others. The 40-hour work week has been left in the dust of moving upward at lightning speed. “Burn out” is spreading like wildfire as more and more people are burning the candle at both ends. Calling in sick is not an option. Flying is another thing that can put you out for the count. People who don’t fly think flying is glamourous, but delays, lines, screaming kids kicking the back of your seat being exiled to the interior of a 737 is flying incubator resounding with the hacking and coughing of who knows what…well, it’s a ticket to getting sick. With jetlag, everything lags. DR. STEPHEN A. GOLDSTEIN, M.D, F.A.C.S. DR. STEPHEN…OF DENVER HORMONE HEALTH IS UNPARALLEL IN HIS DEGREE OF PROFESSIONALISM AND EXPERTISE IN WHATEVER HE DOES. IN EVERY CASE, HIS PATIENTS COME FIRST. NOT JUST THEIR HEALTH, BUT THEIR SAFETY. IN APRIL, DR. G WILL BE OPENING HIS FIRST IV THERAPY LOCATION CALLED HEALTHY IV SOLUTIONS. WHICH COULD EASILY BE THE SOLUTION YOU NEED TO ADDRESS ANY HEALTH ISSUES. IN THIS NEW OFFICE, UNLIKE OTHER FACILITIES OFFERING IV THERAPY, HE HAS DESIGNED AND INSTALLED WHAT IS CALLED A “CLEANROOM”. A CLEANROOM IS A CONTROLLED ENVIRONMENT WHERE PRODUCTS ARE MANUFACTURED. IT IS A ROOM IN WHICH THE CONCENTRATION OF AIRBORNE PARTICLES IS CONTROLLED TO SPECIFIED LIMITS, THUS ELIMINATING A HOST OF CONTAMINANTS GENERATED BY PEOPLE, PROCESS, FACILITIES AND EQUIPMENT. ALL OF WHICH MUST BE CONTINUALLY REMOVED FROM THE AIR. A CLEANROOM ISN’T JUST A ROOM, AND DR. G’S DEDICATION TO COMPOUNDING PURE SOLUTIONS MAKES HEALTHY IV SOLUTIONS YOUR SOLUTION. CALL NOW FOR AN APPOINTMENT. YOU’LL BEGIN TO FEEL BETTER THE SOONER YOU DO. 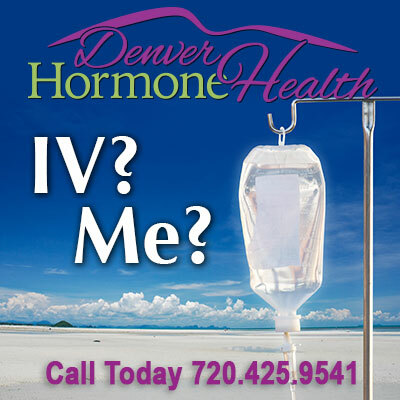 http://denverhormonehealth.com/wp-content/uploads/2018/03/DHH_logo.png 0 0 Tanya http://denverhormonehealth.com/wp-content/uploads/2018/03/DHH_logo.png Tanya2016-03-28 08:53:092016-03-15 11:54:48FATIGUE CRAMPING YOUR PERFORMANCE? WHERE OH WHERE HAVE YOUR NUTRIENTS GONE? “Wait a minute, there. I watch what I eat. I know all about the food pyramid. I juice, even if it is green and makes me want to retch. I know that kale and quinoa are today’s food kings. I must be getting everything I need.” Without even really being aware of it we are besieged daily with products that trumpet their vitamin and other beneficial contents. When we see commercials on whatever device happens to be in our hands at the minute, we must hear the words “nutritious”, “good for you”, or “everything you need to be healthy” ad nauseum. To which we reply, “bunk”. Vitamins and minerals are considered essential nutrients—because acting together, they perform hundreds of roles in the body. They help shore up bones, heal wounds, and bolster your immune system. They also convert food into energy, and repair cellular damage. These nutrients include at least 30 vitamins, mineral and dietary components that your body desperately needs but can’t be manufactured on their own in sufficient amounts. What are they? Try and list the alphabet soup of initials they represent. Stumped? If these vitamins and minerals are not adequately absorbed into the body they are useless creating a situation in which patients do not experience the results they want. Another factor is too much supplement intake. For example, taking large doses of oral magnesium and Vitamin C can result in diarrhea due to effects on the bowel. Intravenous administration of magnesium, Vitamin C, and other vitamins and minerals does not have that effect, and the amounts given can be much higher compared to oral pills. IV therapy carries the vitamins and minerals you need through the bloodstream directly to the center of cells where they are most therapeutic. Most nutrient deprived people get stuck in a situation where this doesn’t happen and they continue to suffer both mentally and physically. Life just keeps coming at them and they don’t know what to do. That’s where IV therapy comes in. By “feeding” the cells, they can correct the nutritional and biochemical deficiencies that that have been knocking them around. Intravenous vitamins and minerals can be used for health maintenance and disease prevention. They do everything from jump starting energy, to decreasing inflammation. Best of all you get a good shot at just feeling better. Chances are if you look around, there are places where you see people with a bottle of water umbilically attached to their hands. You think, “I need to drink more”. Dehydration occurs when there isn’t enough water to replace what’s lost throughout the day. Your system literally dries out. It’s a myth that you only get dehydrated from profuse sweating. Our brains are 80% water, so it’s really important to be well hydrated. Even being a little dehydrated can have significant consequences to cognitive function and cause headaches, dry skin, constipation, loss of appetite, irritability, dizziness and unexplained tiredness. But the eye opener here is that in spite of drinking the recommended amounts of fluids, our body still gets dehydrated. Only 55% of what we drink gets absorbed in our body and the rest is excreted out in sweat, urine or simply breath expelled out. Drinking water will most often correct mild forms of dehydration, but in cases of moderate or severe dehydration the body often needs hydration at a faster rate. Which is exactly what IV therapy does. Just drink this in: one liter of IV fluids is equal to 2 gallons of water. Think you’re getting anywhere near that? Is that a resounding “No”? IV therapy instantly replaces electrolytes including sodium, hydrating the body which improves over all function and well-being. Is dehydration something to sweat about? You bet. SO WHERE DO YOU GO TO TAKE ADVANTAGE OF ALL THE BENEFITS OF IV THERAPY? HERE’S WHAT TO KNOW. IN APRIL, DR. STEPHEN A. GOLDSTEIN, M.D, F.A.C.S. OF DENVER HORMONE HEALTH IS OPENING AN EXTENTION OF HIS PRACTICE THAT WILL BE CALLED HEALTHY HORMONE SOLUTIONS. DR. GOLDSTEIN BELIEVES IN HELPING ALL HIS PATIENTS IN WAYS THAT ARE MOST EFFECTIVE TO THEM AND THAT IS WHY HE IS NOW GOING TO OFFER IV SOLUTIONS, UNIQUELY TAILORED TO THEIR NEEDS. AND WHEN WE’RE TALKING UNIQUE, DR. GOLDSTEIN IS ONE OF THE VERY FEW USING WHAT IS CALLED A “CLEANROOM” TO DO HIS COMPOUNDING OF INGREDIENTS. DESIGNED AND MONITORED USING STRICT PROTOCOL AND METHODS, A CLEANROOM PROVIDES A CONTROLLED ENVIRONMENT FOR THE PURPOSE OF ELIMINATING POLLUTANTS SUCH AS DUST, AIRBORNE MICROBES, AEROSOL PARTICLES AND CHEMICAL VAPORS. ALL OF WHICH COULD ADVERSELY AFFECT THE COMPOUNDING OF HIS DIFFERENT SOLUTIONS. DR. GOLDSTEIN CARES. HE WANTS YOU TO FEEL YOUR BEST AS QUICKLY AND EFFECTIVELY AS POSSIBLE. HE DOESN’T JUST CREATE SOLUTIONS, HE CREATES YOUR SOLUTION BASED ON YOUR INDIVIDUAL NEEDS. CALL FOR AN APPOINTMENT NOW. IV CAN BE YOUR SOLUTION. http://denverhormonehealth.com/wp-content/uploads/2018/03/DHH_logo.png 0 0 Tanya http://denverhormonehealth.com/wp-content/uploads/2018/03/DHH_logo.png Tanya2016-03-23 08:51:502016-03-15 11:52:59WHERE OH WHERE HAVE YOUR NUTRIENTS GONE? As we expounded on last week, IV or intraveneous therapy is a simple, effective and safe way to infuse high doses of much needed vitamins, minerals and other nutrients directly into your bloodstream, where they bypass the gastrointestinal track, avoiding possible upset and loss of potency. With IV therapy the nutrients are delivered directly into the bloodstream where they reach needy cells where they can help prevent and offer relief to a host of ailments. Some are common to many individuals: fatigue, inflammation, sluggishness, headaches or migraines, nausea, muscle spasms, diminished physical performance, flus and colds, altitude sickness, anxiety, depression, fibromyalgia, stress and even hangovers. To name just a few. But with some people, their immune systems are more severely compromised. In these cases ,IV therapy can provide relief and play a big part in healing people with ailments like asthma, diabetes, hypertension, PMS, hypertension, ulcerative colitis, sinusitis, arthritis, allergies, irritable bowel syndrome, chronic obstructive pulmonary disease and other prolonged illnesses. IV therapy does not promise to be a cure-all, but it is a jump start to overall well being. And, well…isn’t that what you want? Since the mid seventies when Dr. John Meyers, MD, a physician at John Hopkins in Baltimore pioneered what became known as the “Meyer’s Cocktail”, thousands of people across the country have taken advantage of the benefits of IV therapy. And the numbers keep growing. Clinical results have been presented at numerous medical conferences to thousands of physicians in the United States. Celebrities have been reported to use IV therapy, as have major athletes. But this is about you. Explore how IV therapy can change your life. Every drip is a drop closer to feeling better. NO DOUBT YOU’VE HEARD OF DR. STEPHEN A. GOLDSTEIN, M.D, F.A.C.S AT DENVER HORMONE HEALTH AND HOW HE HAS HELPED SO MANY PEOPLE FEEL THEIR OPTIMAL BEST. WELL STARTING IN APRIL, HE IS GOING TO OFFER A WAY TO FEEL BETTER ALL OVER IN A NEW WAY. IN APRIL, HE IS OPENING HEALTHY IV SOLUTIONS AS A SOLUTION TO A LIST OF TEMPORARY ISSUES AND ONGOING AILMENTS. HIS PATIENTS ALWAYS COME FIRST, AND HEALTHY IV SOLUTIONS IS ANOTHER WAY HE CAN DEMONSTRATE HIS SKILL AND EXPERTISE AT OFFERING UNIQUE ANSWERS AND HELP. WHAT IS IMPORTANT TO KNOW, IS THAT DR. GOLDSTEIN IS ONLY ONE OF A FEW WHO HAS TAKEN THE TIME AND MADE THE EFFORT TO COMPOUND SOLUTIONS GUARANTEED SAFER. HEALTHY IV SOLUTIONS, UNLIKE MANY OTHER PLACES, WILL HAVE WHAT IS CALLED A “CLEANROOM”. CLEANROOMS ARE USED IN PRACTICALLY EVERY INDUSTRY WHERE SMALL PARTICLES CAN ADVERSELY AFFECT THE MANUFACTURING PROCESS. THEY ARE USED IN BIOTECH, MEDICAL DEVICE AND LIFE SYSTEMS AS WELL AS CRITICAL PROCESS MANUFACTURING COMMON IN AEROSPACE AND THE DEPARTMENT OF ENERGY. SO CALL FOR AN APPOINTMENT NOW. AS ALWAYS, DR. GOLDSTEIN PROVIDES YOU WITH ONLY THE BEST.